Save 33% on the JumpSport iBounce Kids Trampoline, Tablet Mount and DVD, Free Shipping! 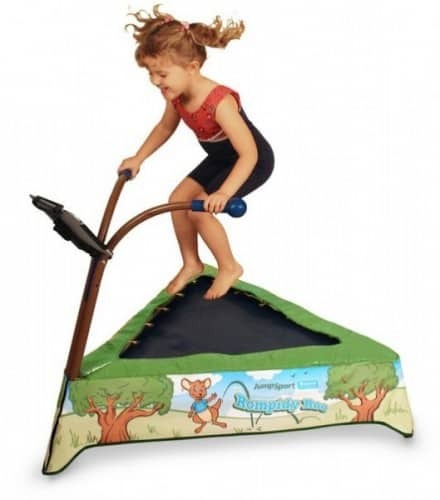 The JumpSport iBounce Kids Trampoline, Tablet Mount and DVD is on sale for $99.95 at Amazon right now. That's 33% off the list price of $149.95!